When you’re using a Jeep for off-road adventures, it’s easy to pick up dings and dents that make your vehicle look more battered than you’d like. Fortunately, there’s a solution that doesn’t require a trip to a traditional body shop: Paintless Dent Repair. Paintless Dent Repair, or PDR, is a process that fixes dents from within the structure. 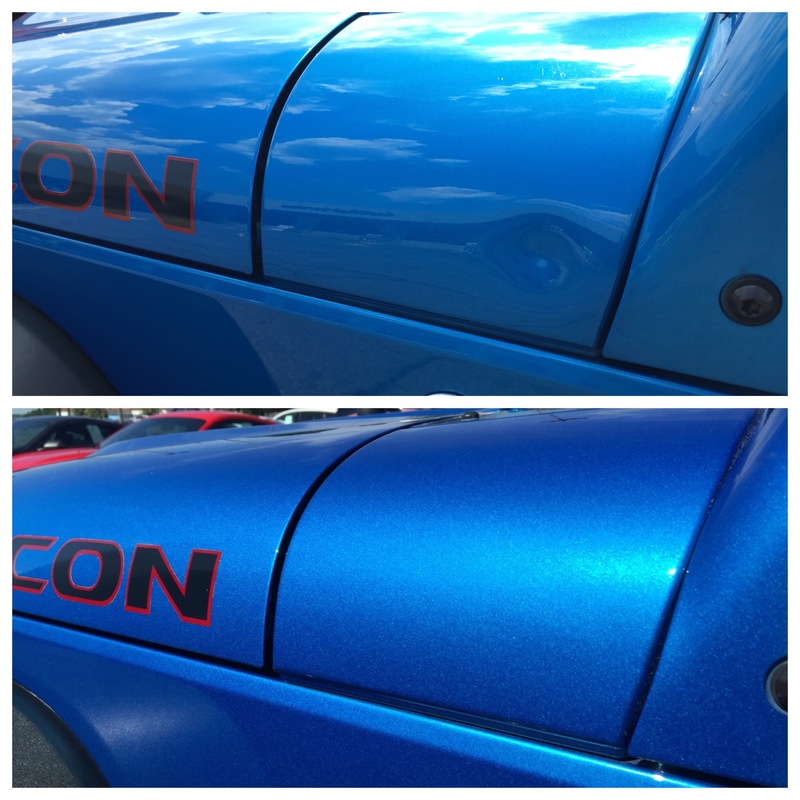 Unlike frontal fixes, this process avoids touching the paint job so you won’t get any unsightly marks that leave a lingering reminder of the damage. Can You Repair a Jeep cowl dent? Oh yes! We call it the “Jeep Dent” – and it’s very common among Jeeps. It happens quickly, but it’s also a repair that we’ve done many times. Paintless Dent Removal is more accessible than traditional body shop repair. There are no parts to order or bonding agents to apply. Our skills & expertise go into an effective repair. 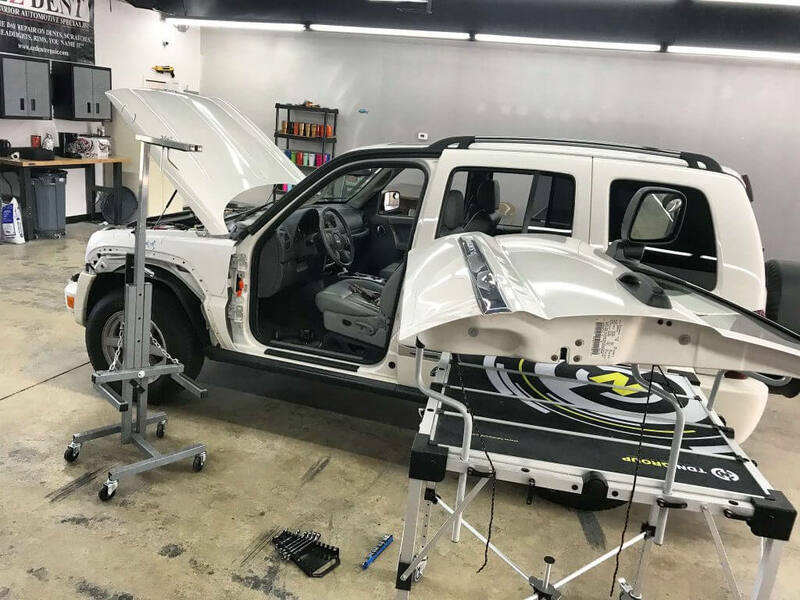 Since we don’t run a traditional full-service body shop, we can afford to set our prices based on our efficient processes and value-added to your car. How fast can you get the job done? The timetable varies, but most jobs are completed in an hour or less. Particularly large or numerous dents may require more time than usual to repair. Our technicians can give you a better estimate once we see some pictures of the damage. *Disclaimer – EZ Dent is not affiliated with Jeep or authorized Jeep dealerships. For more information, or to schedule an appointment and get those dents in your Jeep fixed, contact EZ Dent today.